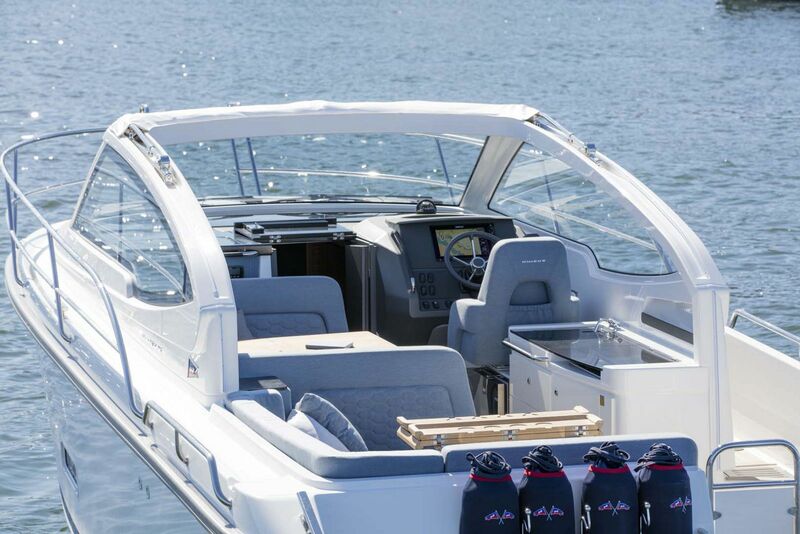 Spending a day on the water just got a little more fun. 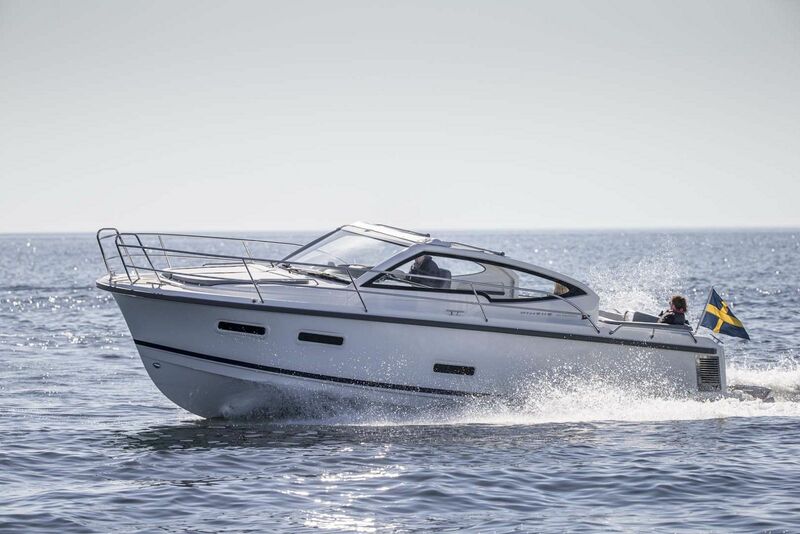 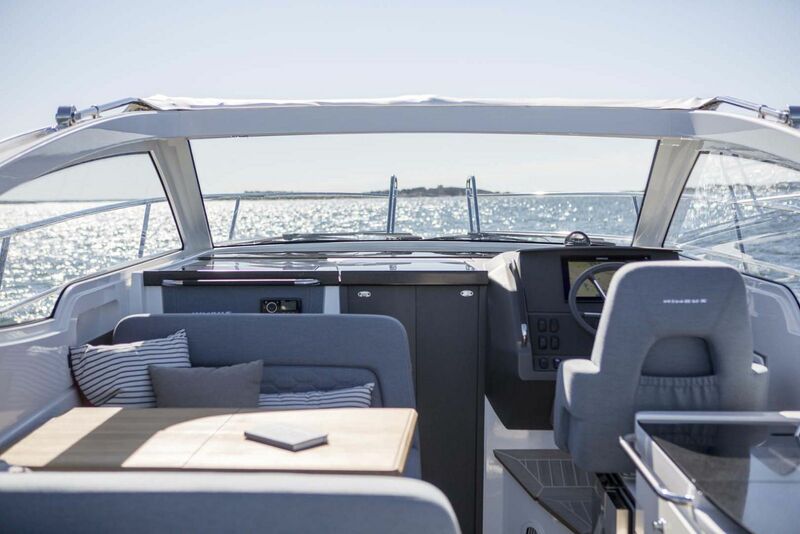 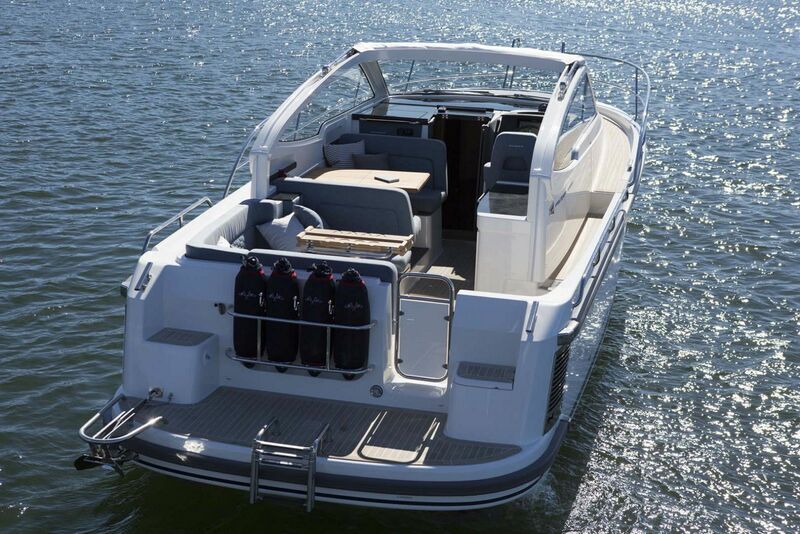 When Nimbus Boats introduced the 305 Drophead, the idea was to create the perfect day cruiser that could also be used as a boat suitable for overnight trips or weekend excursions all built on the new Smart Speed concept. 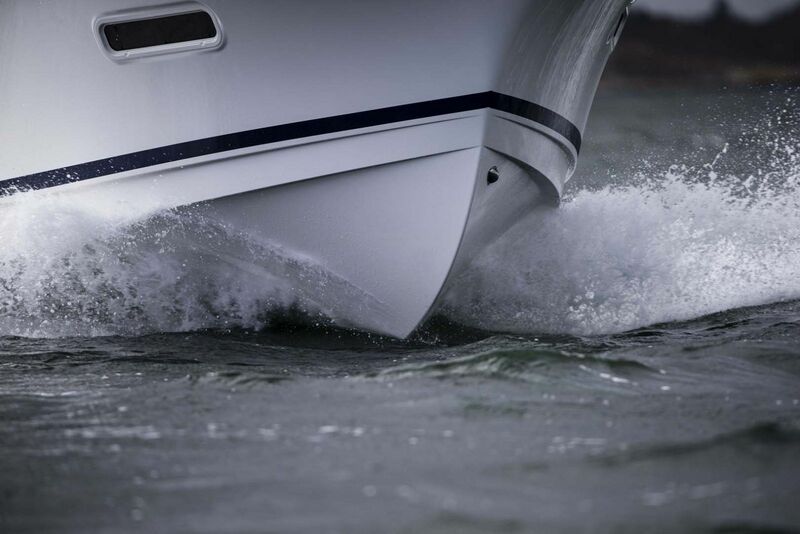 The Nimbus Smart Speed concept is optimized for speeds from 0 to 22 knots which gives the 305 Drophead no real planing threshold and returns low fuel consumption at all speeds. 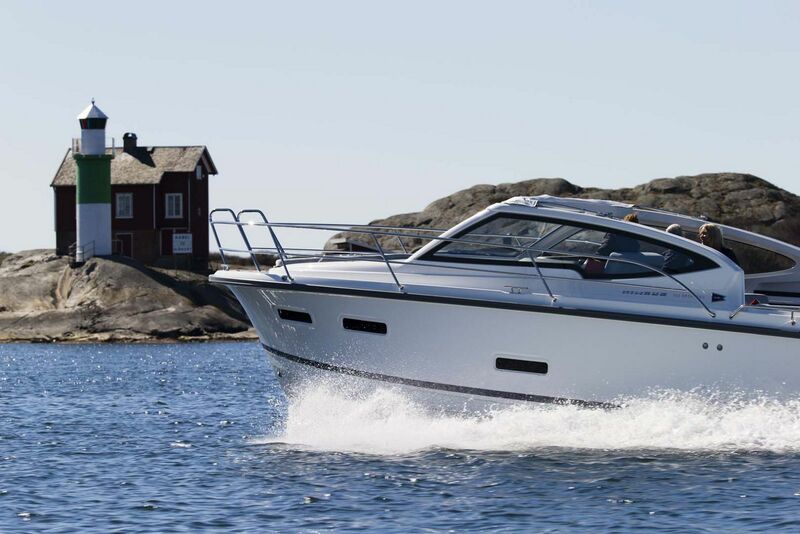 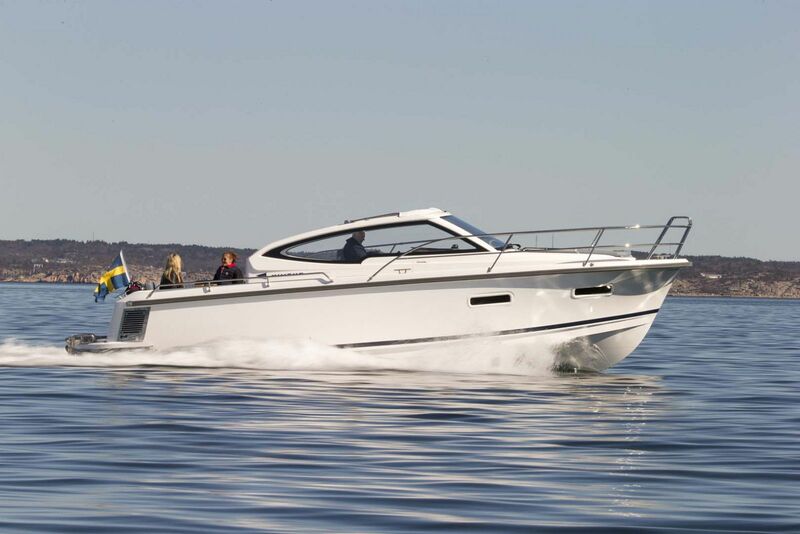 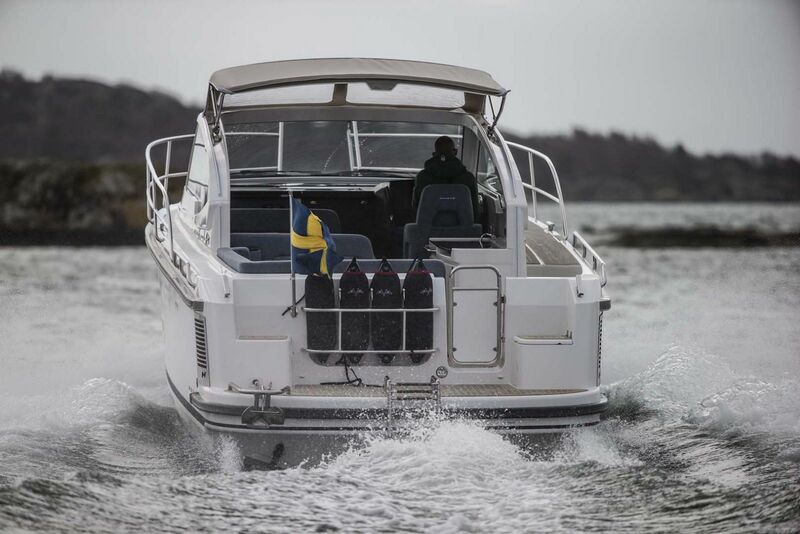 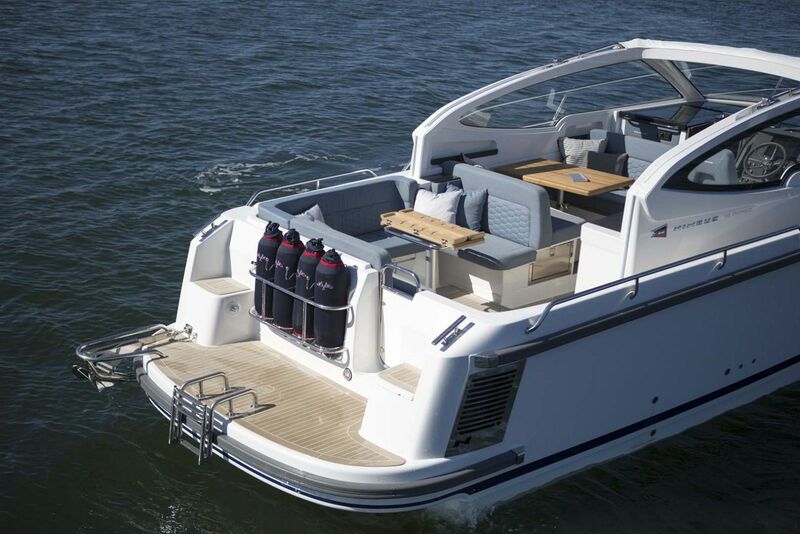 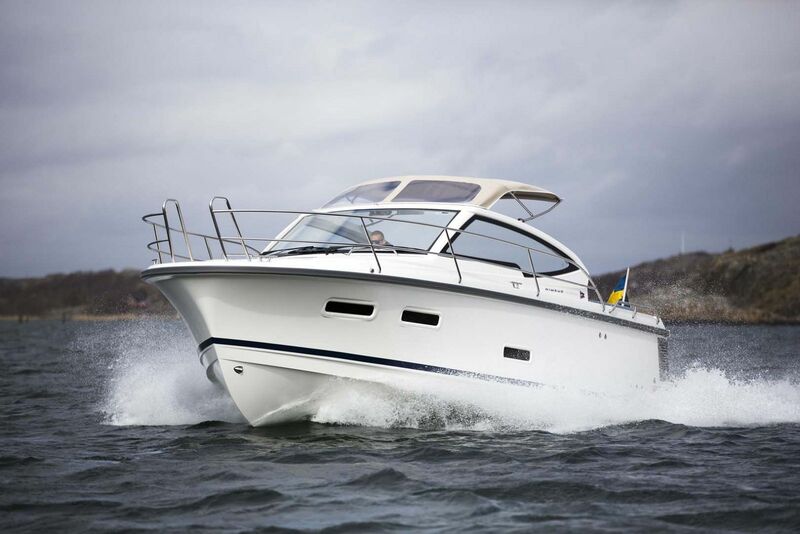 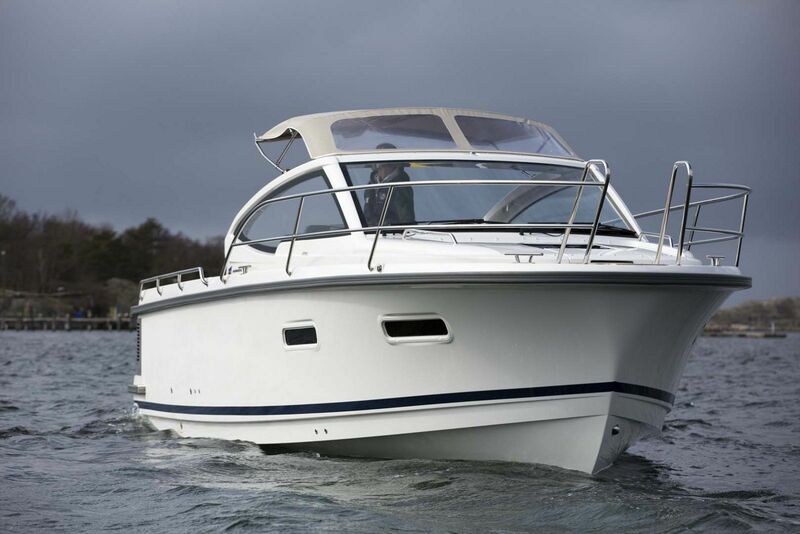 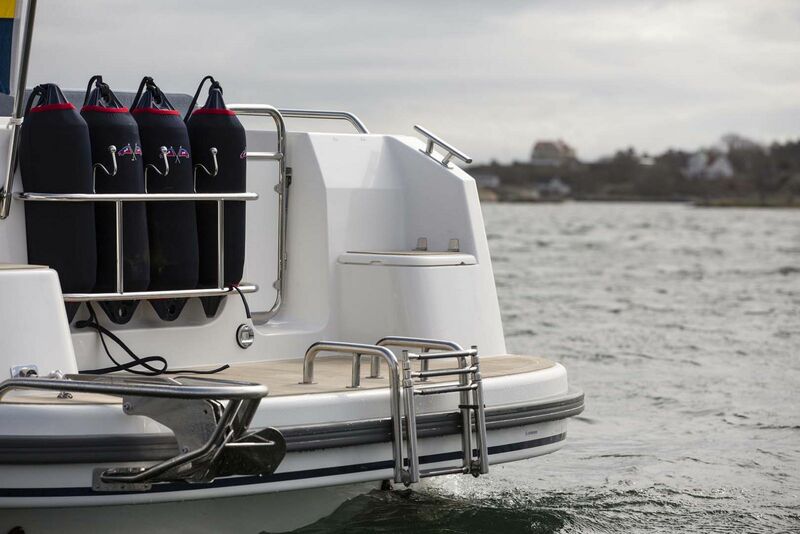 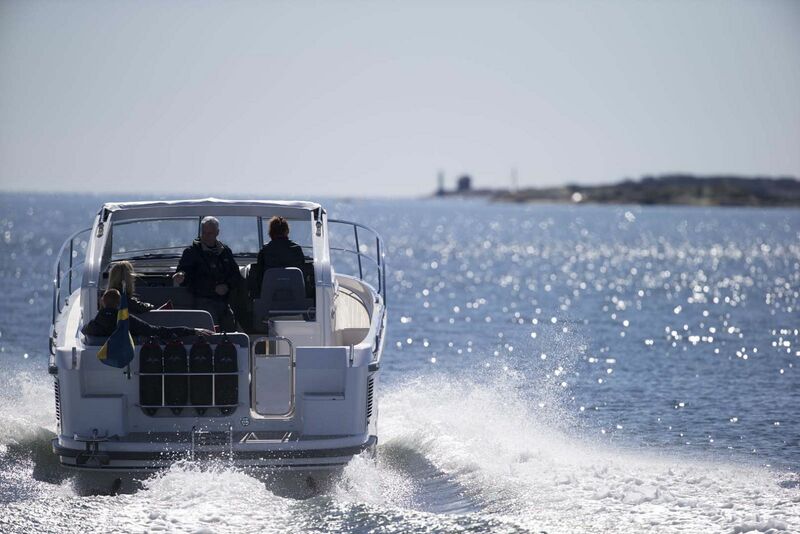 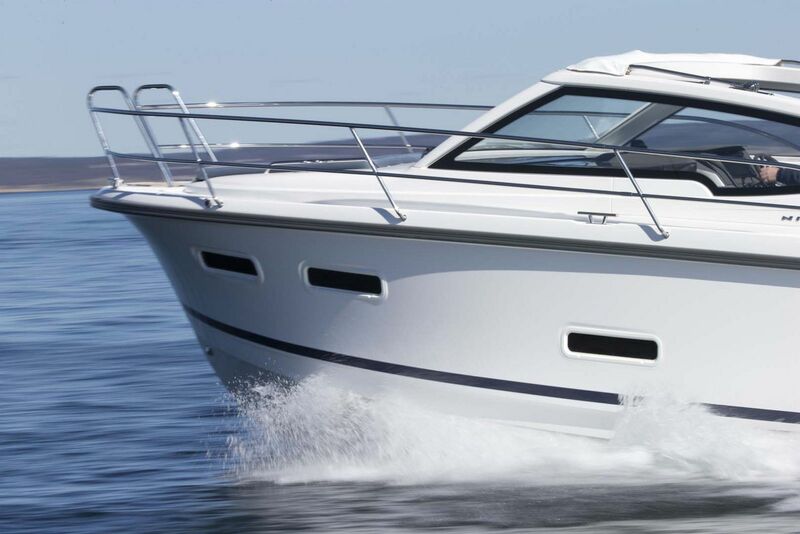 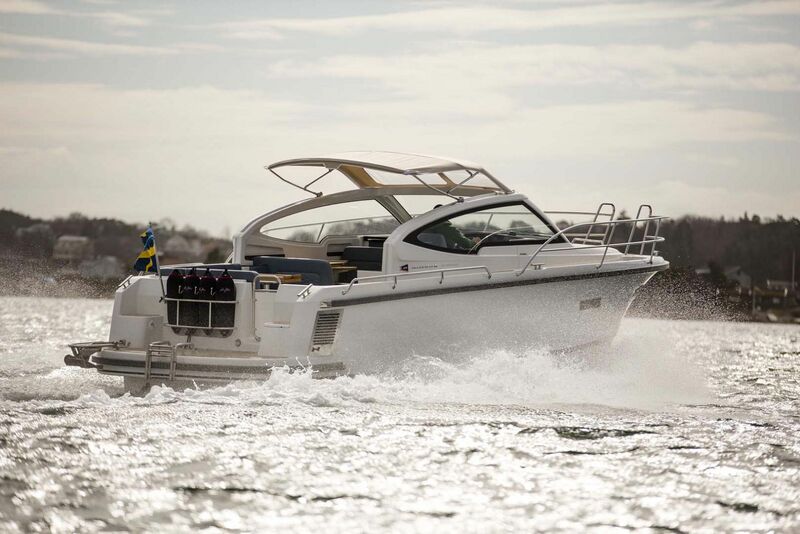 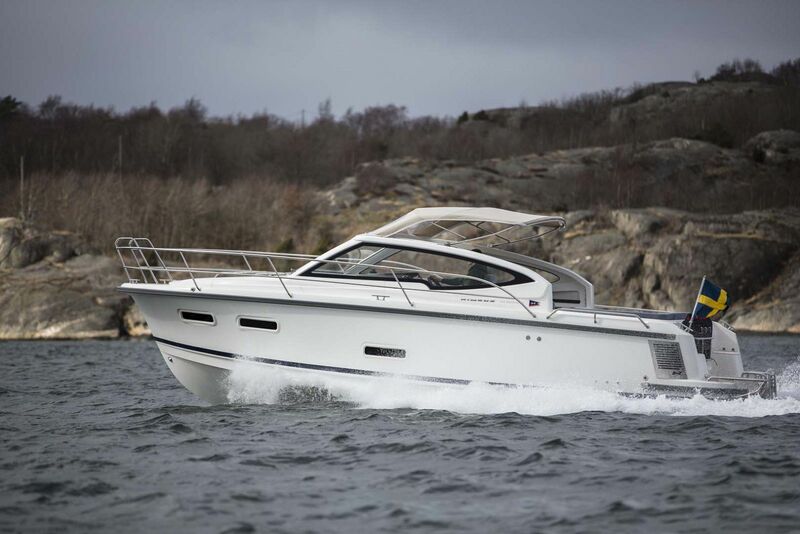 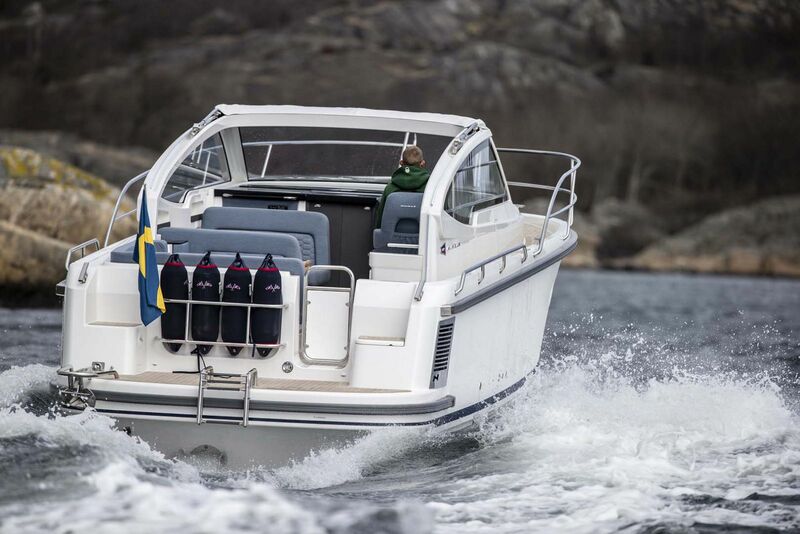 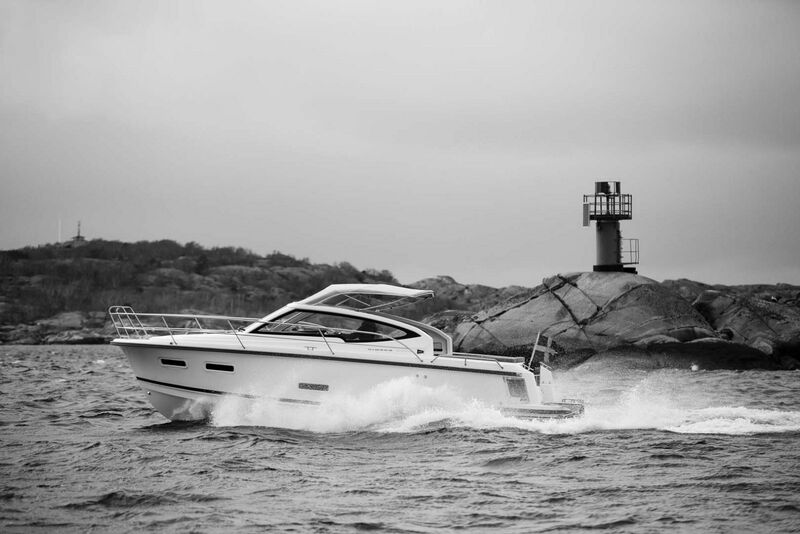 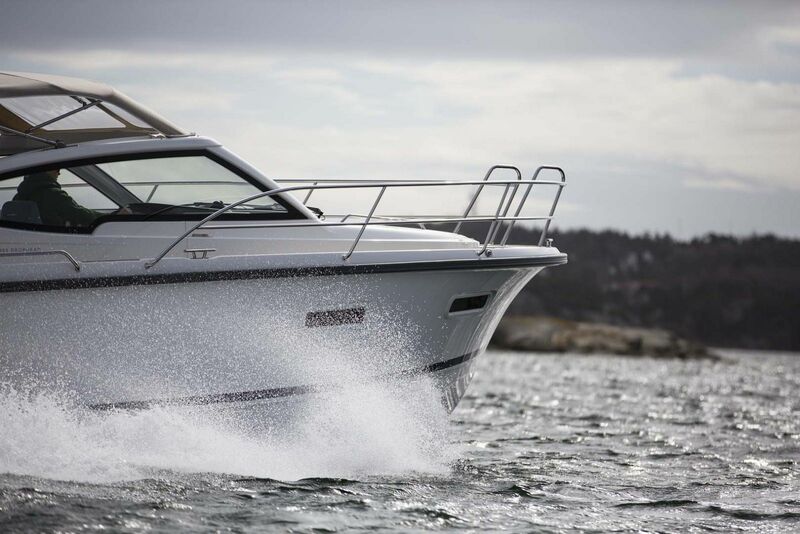 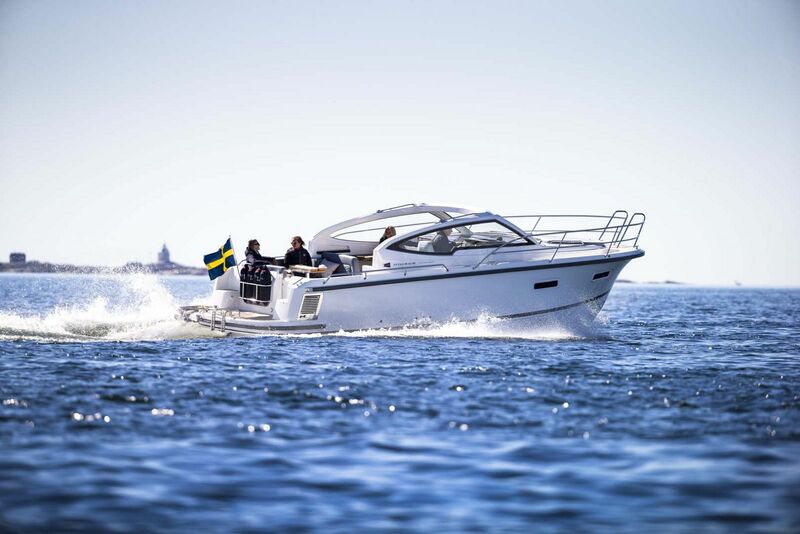 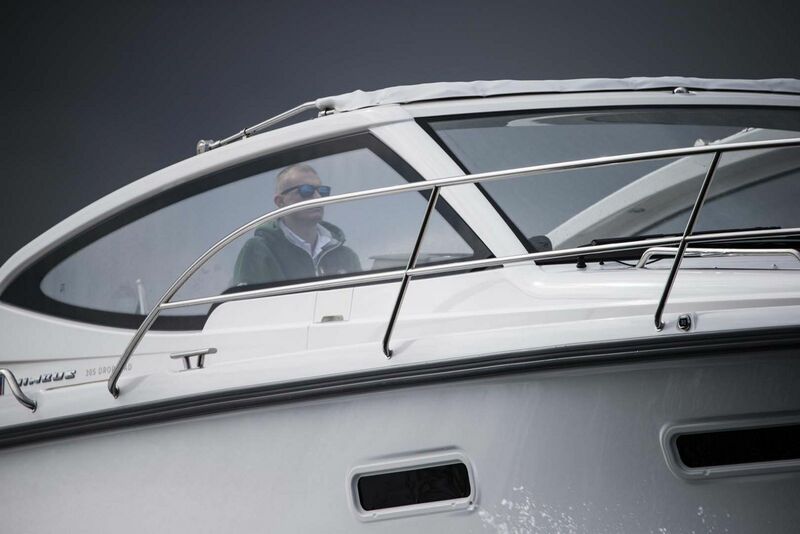 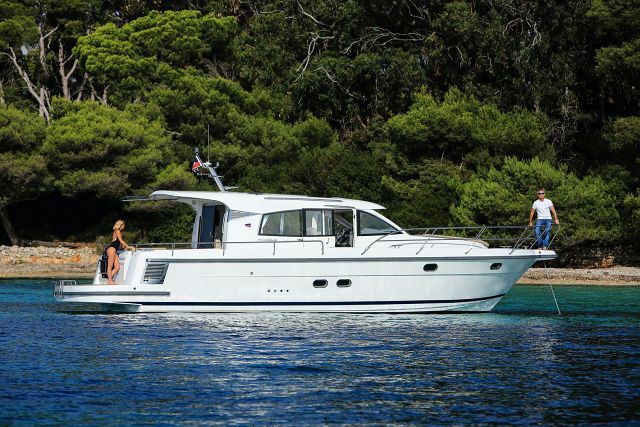 With Smart Speed, everyone on board remains comfortable while the owner is running the boat. 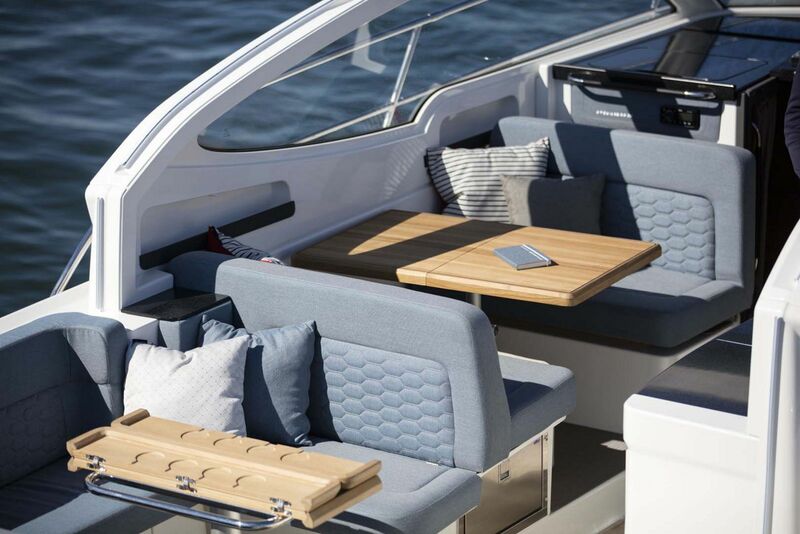 Built on the same platform as the Nimbus 305 Coupe which won several awards, the 305 Drophead seeks to maximize its layout for optimum socialbility space on board. 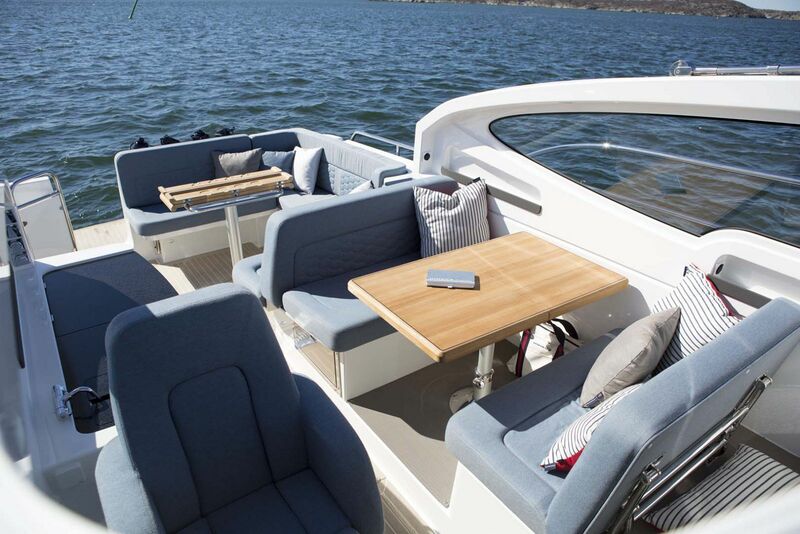 An L-shaped couch at transom along with a pedestal table provides a great place to sit and have a conversation or enjoy the sun. 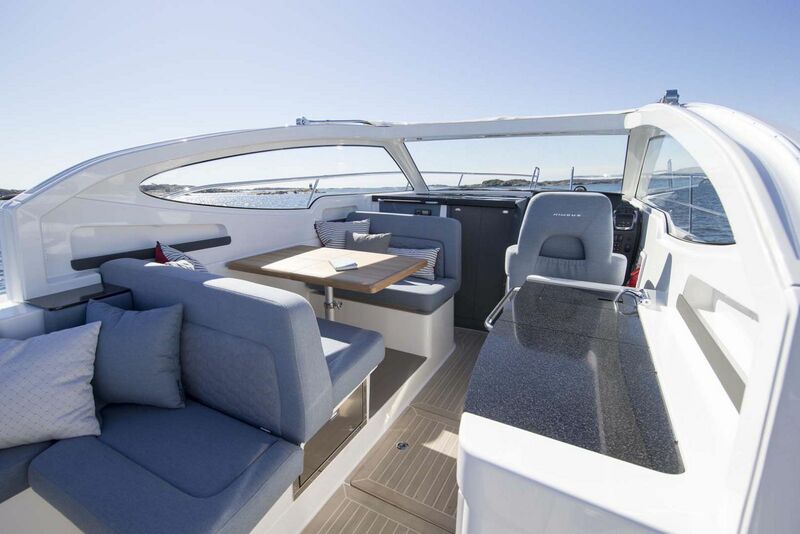 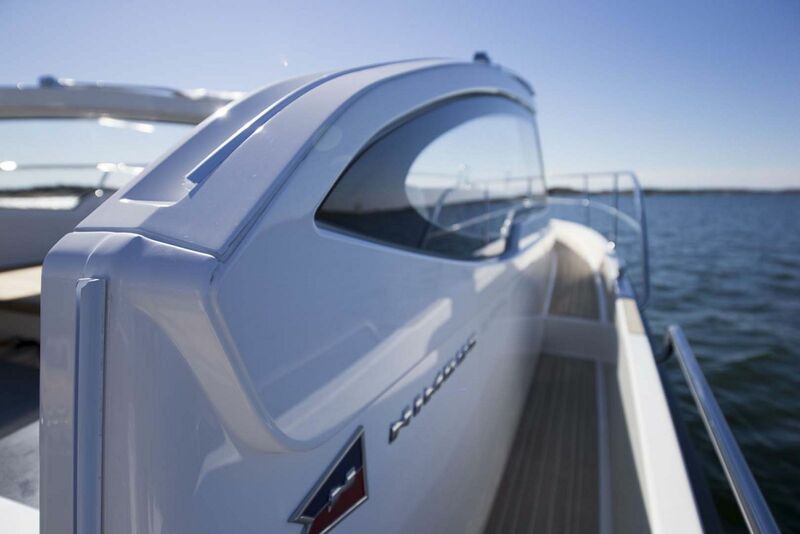 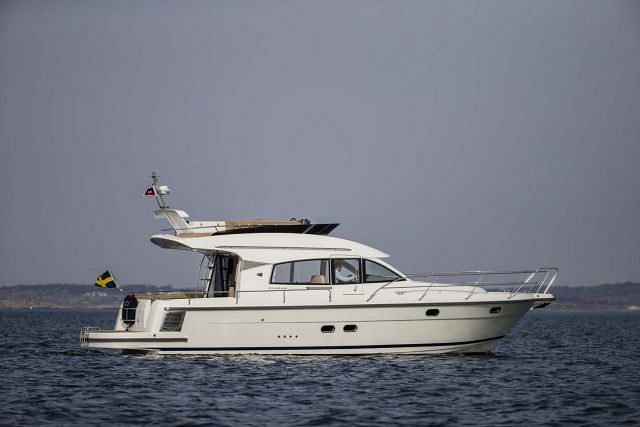 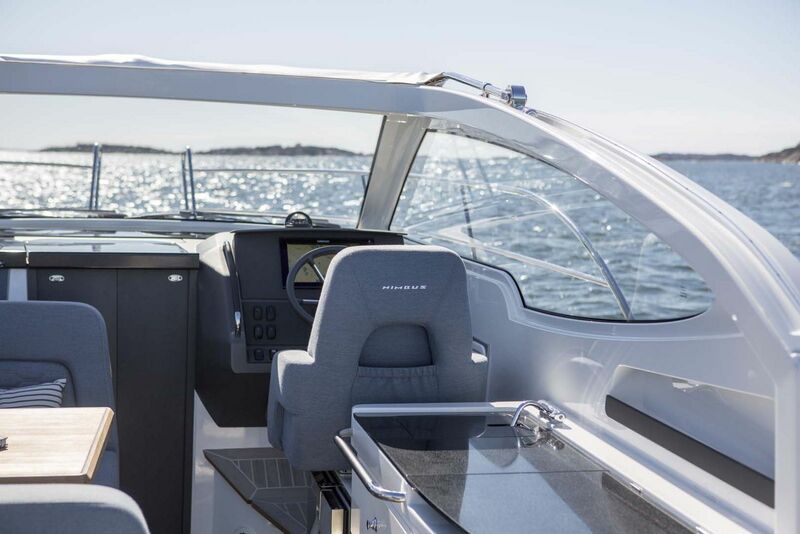 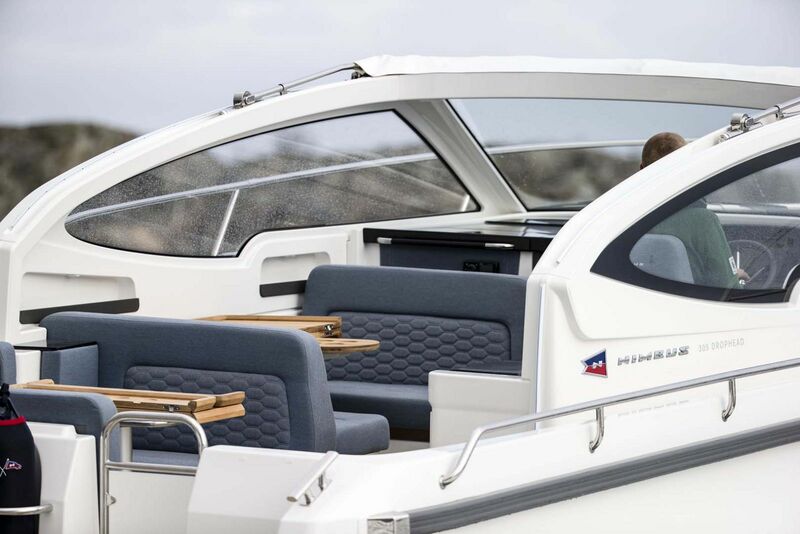 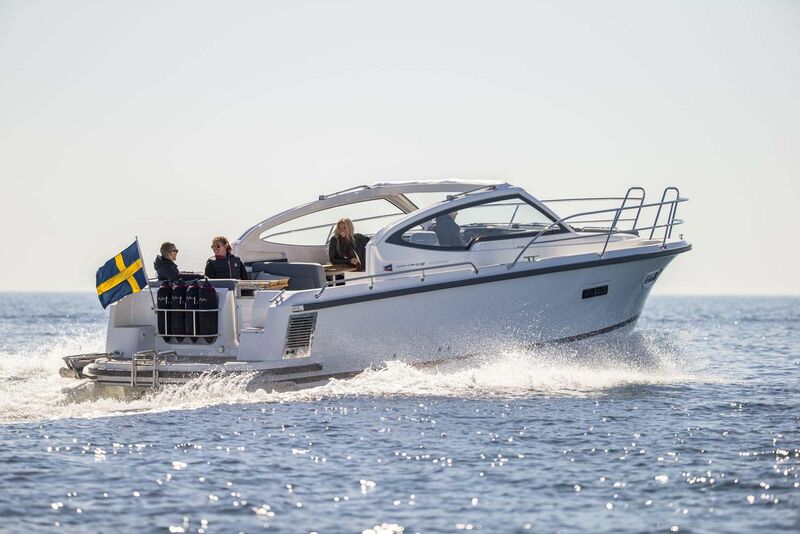 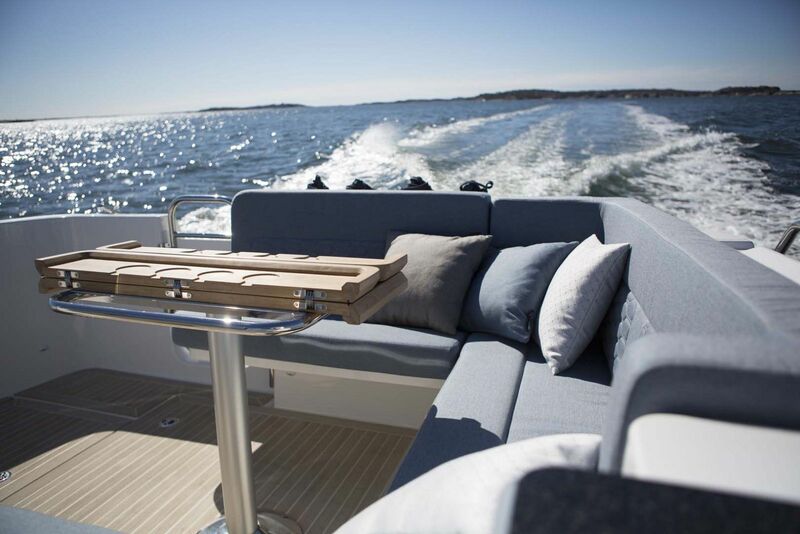 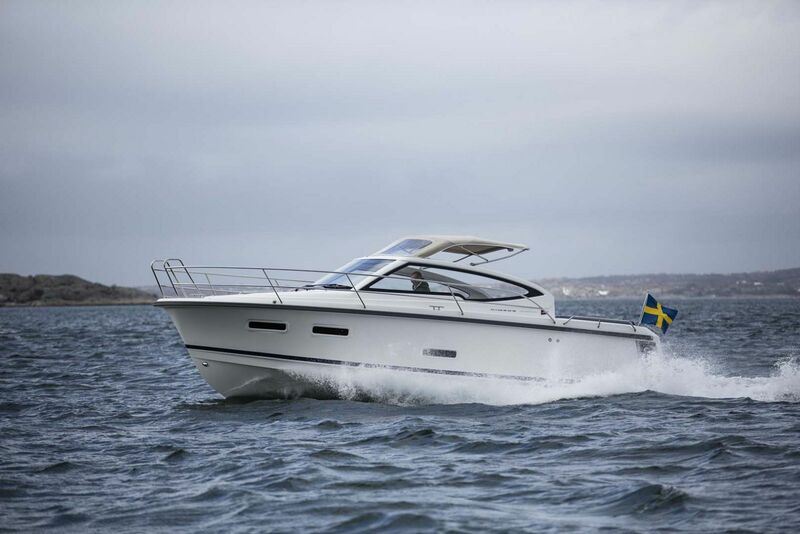 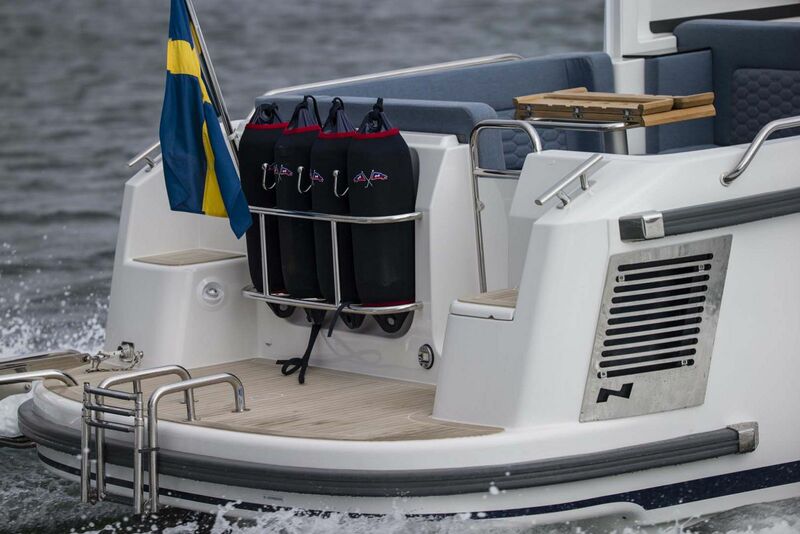 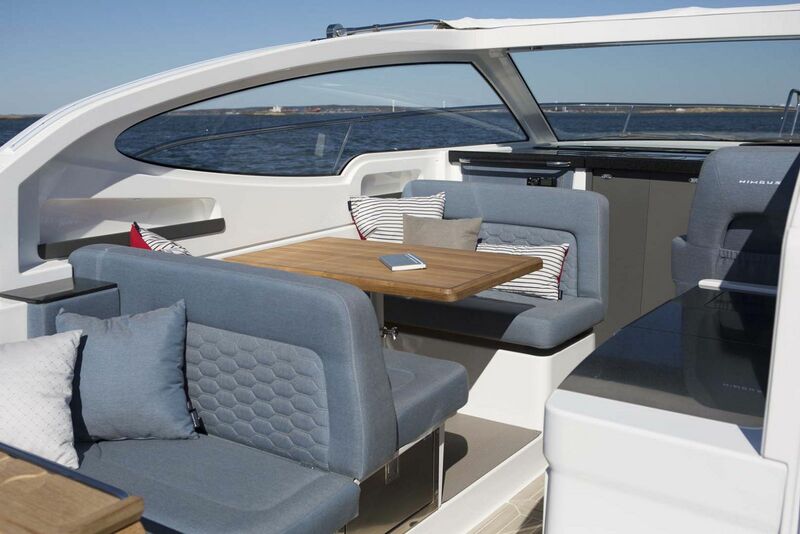 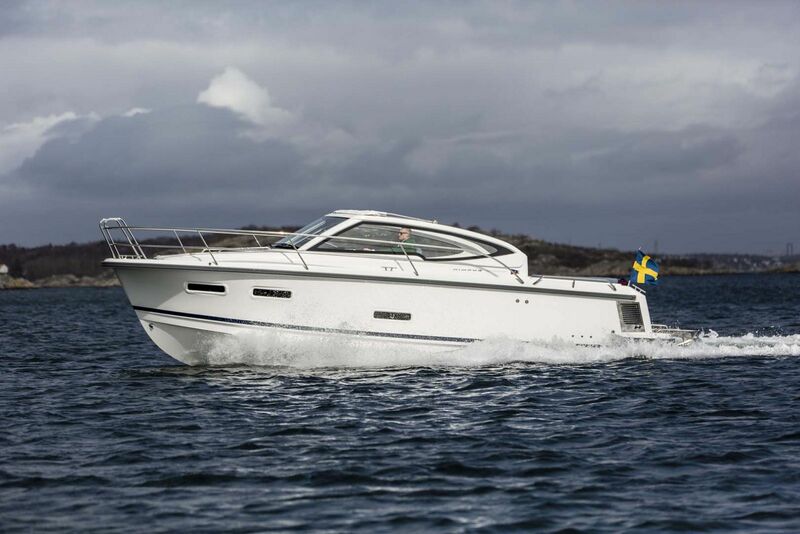 The Scandenavian design is unique, but focused on clever solutions to perfecting one's time spent on the boat. 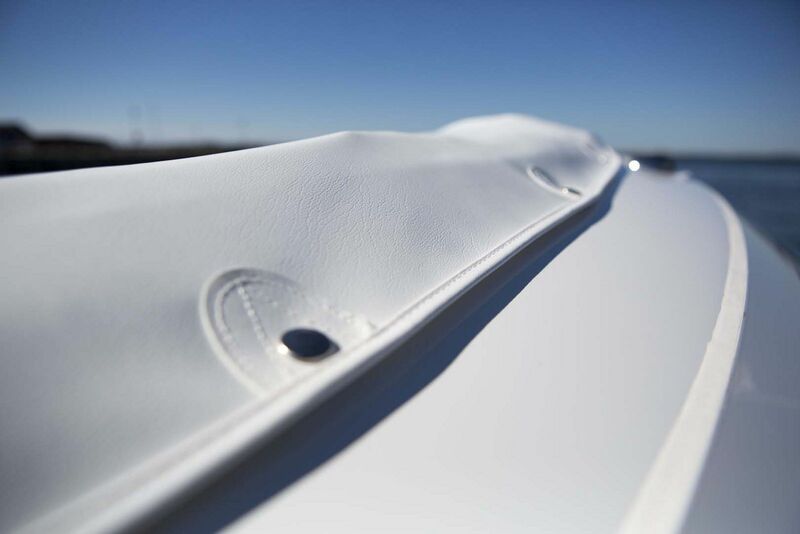 One example is the powered canvas hood cover, which folds down into an integrated cassette in the window frame at the touch of a button – simple and elegant. 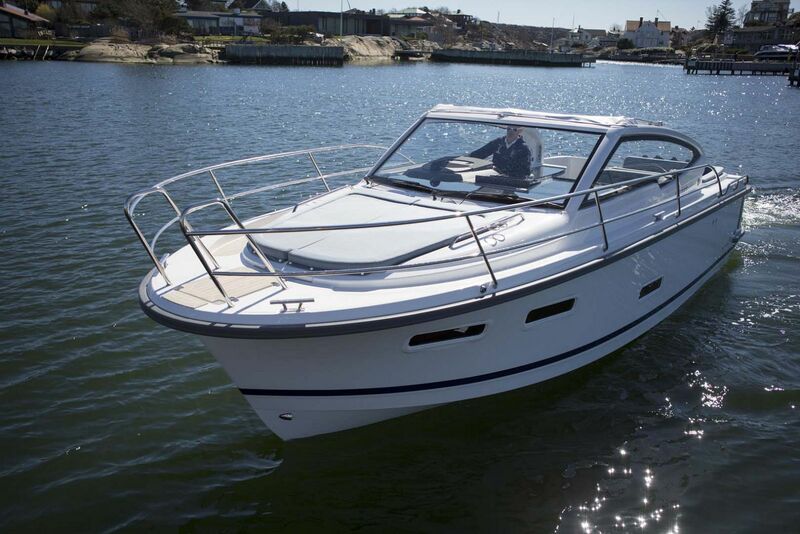 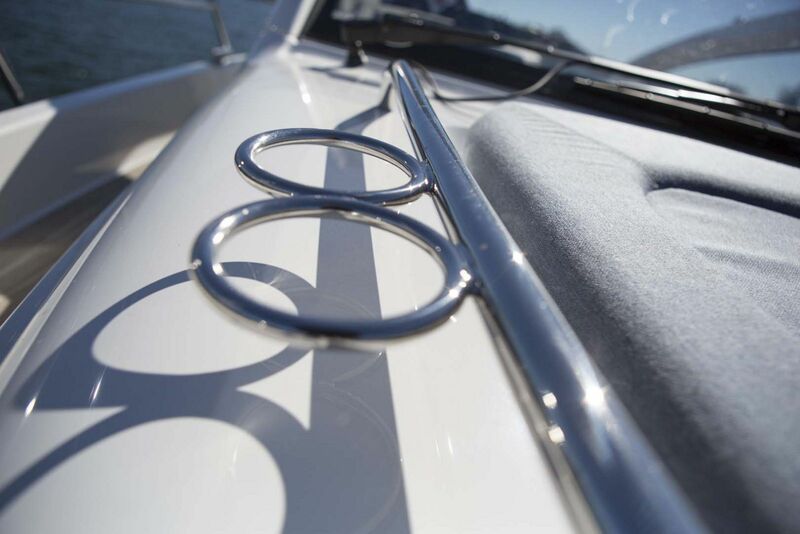 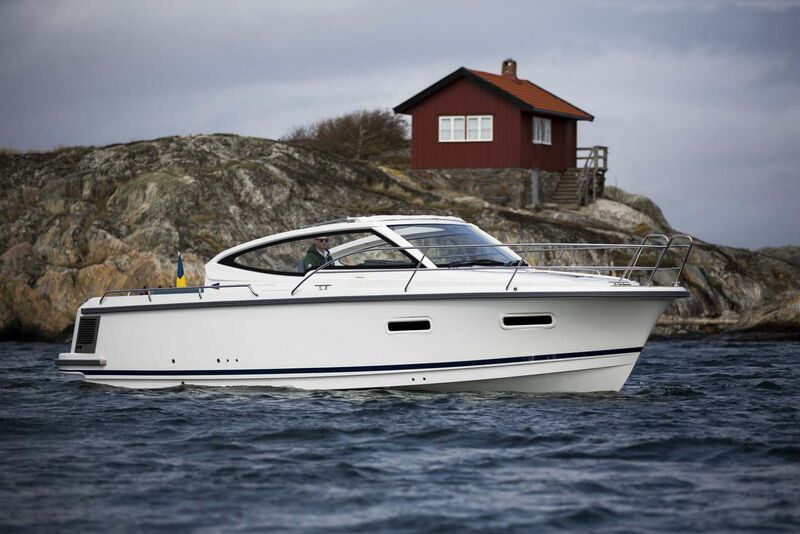 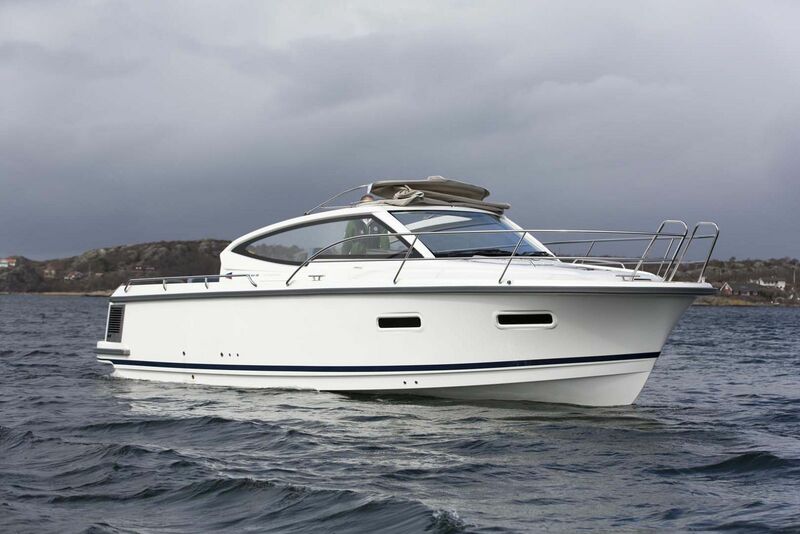 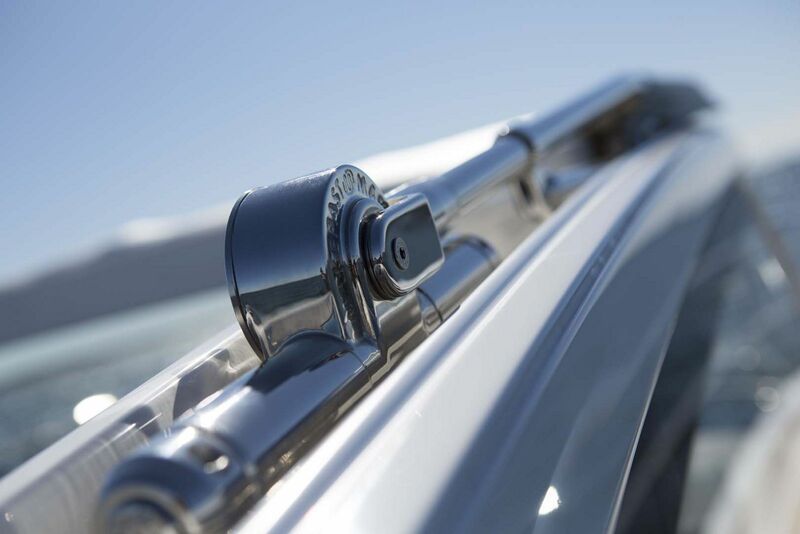 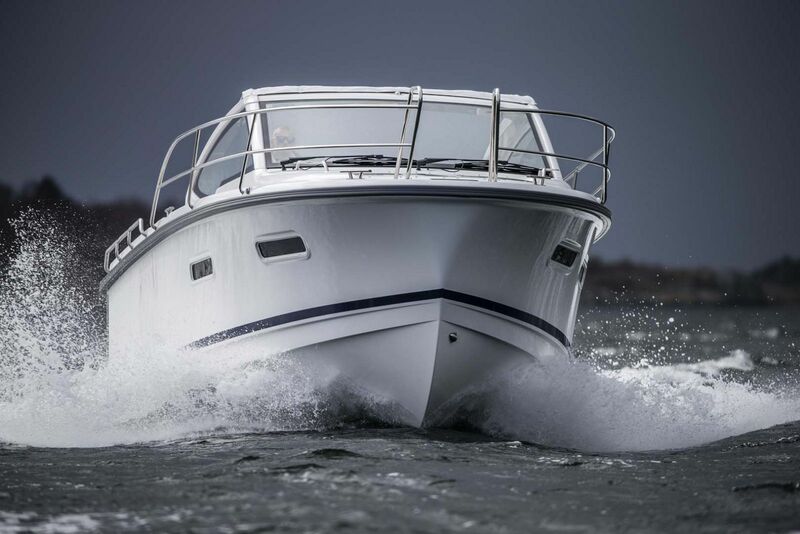 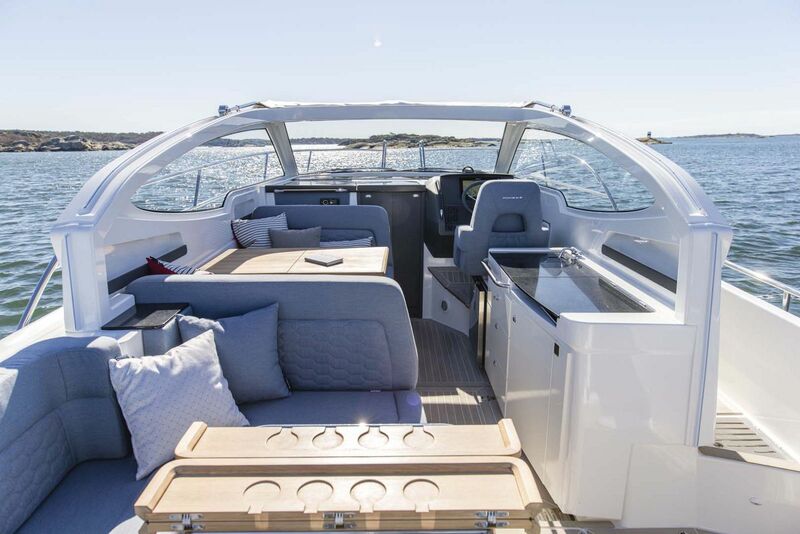 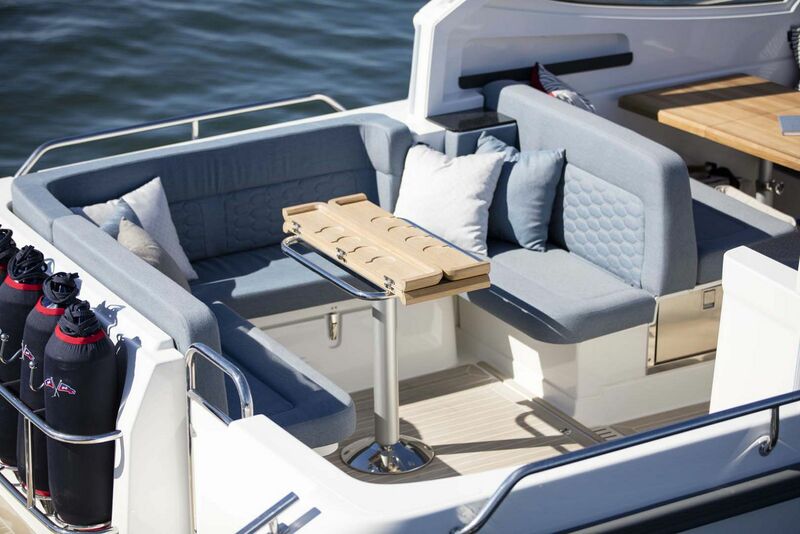 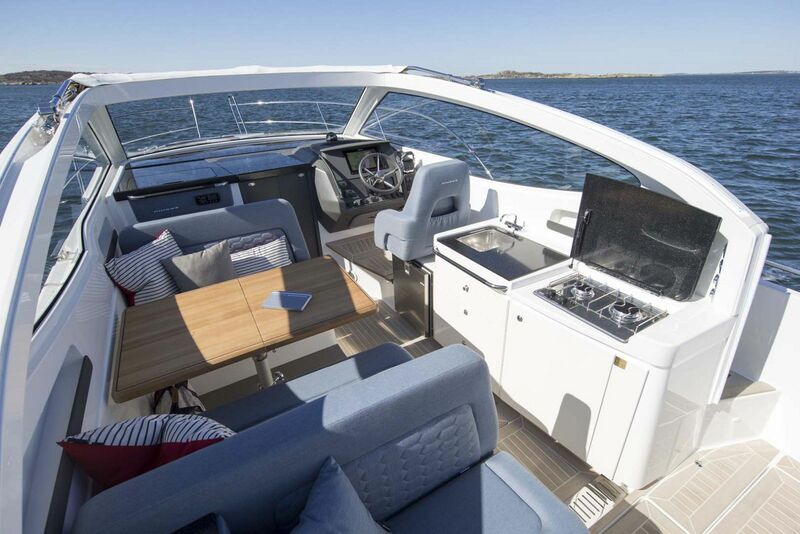 If you would like to received more information on the Nimbus Boats 305 Drophead open day cruiser, please contact your Seattle Yachts Sales professional today. 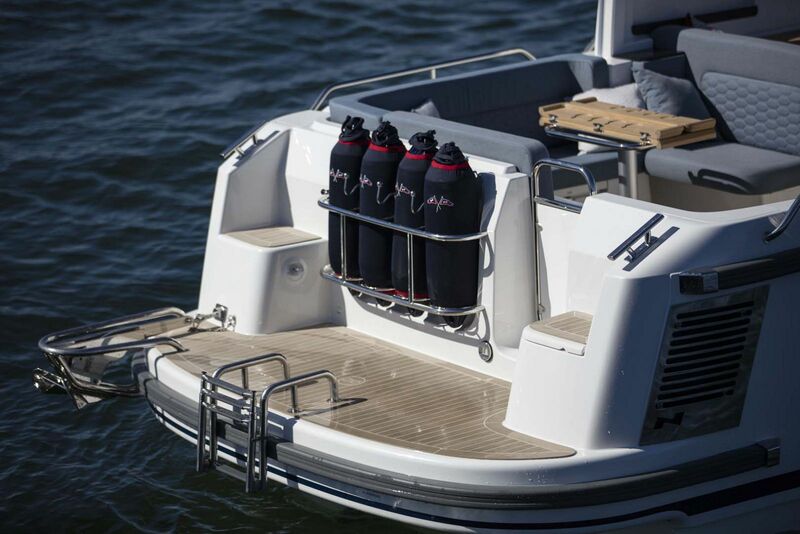 Fuel Tank Capacity: 66 Gal. 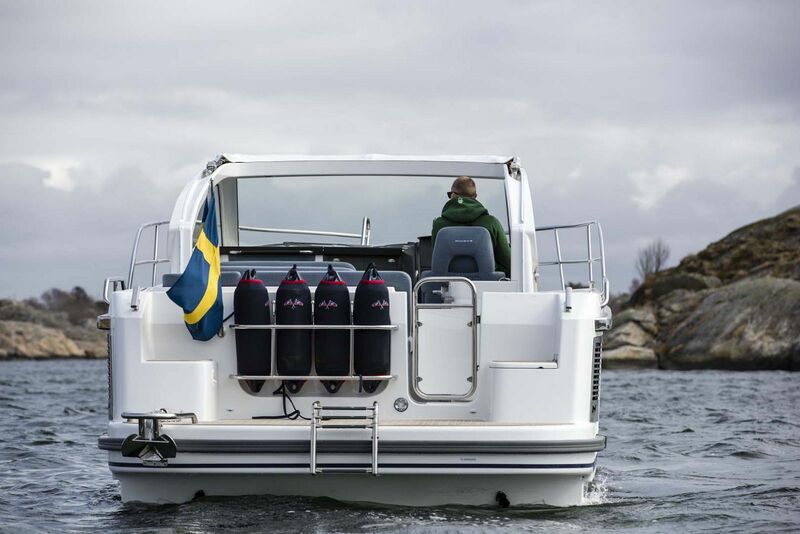 Water Tank Capacity: 39.6 Gal.